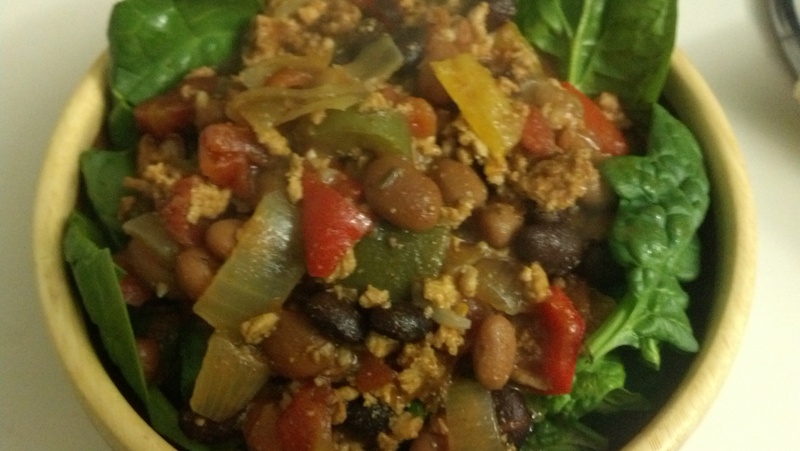 I like to eat my chili over a bed of spinach rather than rice to cut back on carbs and calories! Put canned items in slow cooker on low. Sautee onion and pepper with garlic, Italian herbs seasoning, cayenne, and hot sauce on the stove until veggies begin to soften. Put in slow cooker and mix. Brown ground Chicken with cumin, sriracha, and spicy rub. Put in slow cooker. Cook all for 5-8 hours on low heat. It can go faster if you put it on high heat, but you have to be able to stir more often. The longer it can cook the better! Serve over brown rice, or spinach (for a low carb/calorie alternative)! 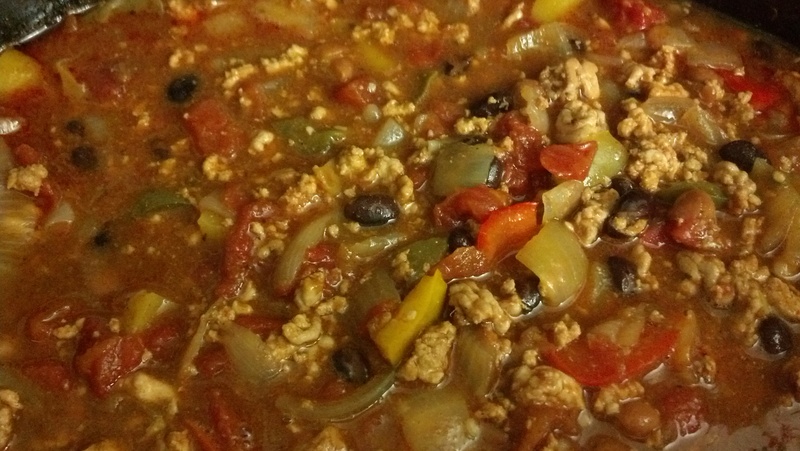 A great healthy meal to prepare Sunday night to feed you after a long day at work!